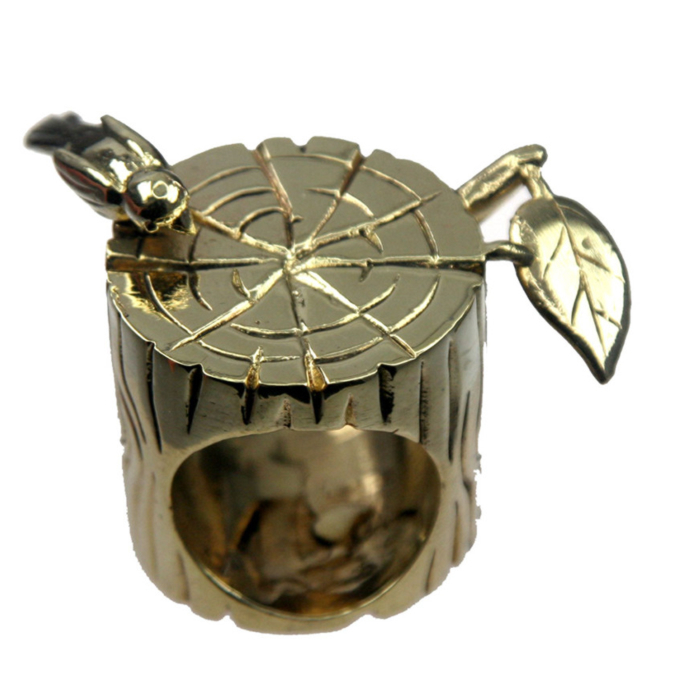 This Vintage Gold Wood Trunk 3D Ring simulates a tree with a hole for your finger. The ring also feartures a bird and branch with a tiny detailed leaf. It's very unique and makes a great statement everyday ring.